Should You Offer Incentives to Placements? Home > Promotion > Should You Offer Incentives to Placements? With such large amounts of money at stake in recruitment – fees for one placement are usually at least 15% of the first year’s annual salary – it is no wonder than incentives are common practice. And it’s not just incentives for the recruitment consultants themselves, it’s increasingly popular to offer incentives to the placements themselves in order to increase business. What Are Incentives for Placements? Popular incentives for recruitment consultants include fancy weekend trips, dinners at posh restaurants and ‘red letter’ experience days – it’s rarely cash as there tends to be tax implications. These are given when a team or individual beats their monthly, quarterly or annual target and can be really pretty impressive depending on the industry and the value of that particular person to the company. But what are incentives for placements? This is when the candidates themselves decide to introduce other potential candidates to the agency, using the premise that good candidates are likely to have friends in the same industry, who’ve worked at the same company and have similar skills. The incentives are usually financial, although very rarely actual hard cash. The most common incentives are high street vouchers (be careful to choose shops that are suited to your target market) or vouchers for relevant websites or companies. Do Incentives Help Build Business? Recruitment agencies only offer incentives that cost less than they bring in, so they are always a good idea. Remember that these incentives are usually related to whether or not the new candidate is placed, which means that there is only a financial outlay from the agency when they’ve made far more than the cost of the incentive in a juicy fee! 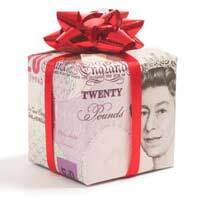 Be careful to write the small print on the incentive information on your website and any publicity that states the ‘gift’ will only be given when a candidate is placed, and usually only three months after they’ve started as this will be after the period of refund has passed. It can look cheap if you need to ‘bribe’ candidates to join your company, so you need to get the balance right between appealing to potential candidates and looking desperate. You do not need to advertise the fact that you offer incentives on your website, but instead you could just tell new placements that you do, particularly if you know that they have a good network of suitable colleagues and friends. Explain that it’s just a little extra to thank them for introducing new candidates to your agency – they will probably know what salary their friend is on and quite possible what your fee is, so it would be patronising to say anything else. Offer the incentive as soon as you are aware that they may have suitable people for you to contact, and encourage them to give you as much information as possible about the candidate so that your consultants can contact them in an appropriate manner. While this article cannot replace any legal advice, it is imperative that you clear any incentives that are offered with your accounting department as there can be tax implications of ‘benefits in kind’ that must be clarified. Is Recruitment Business Advertising Worth It?